News that Sembcorp Industries is to push ahead with a strategic review of all its business lines in the coming months has once again sparked speculation that Singapore’s top two yards could be looking at merging. In announcing the group’s latest financial results, new CEO Neil McGregor said the diverse conglomerate was looking at some major changes. “Over the next few months, we will be undertaking a complete review of our businesses and strategic direction,” McGregor said, adding that the focus for the future would be on “performance, sustainability and value creation”. “We face a challenging macro environment with rapidly changing market dynamics,” McGregor cautioned. McGregor was previously the head of Singapore’s first LNG terminal before taking the top post at Sembcorp last month. His words have prompted many local analysts to mull whether Sembcorp Marine, the group’s yard arm, will merge with rival Keppel’s shipyard division – a merger that has been discussed on and off for more around 20 years. 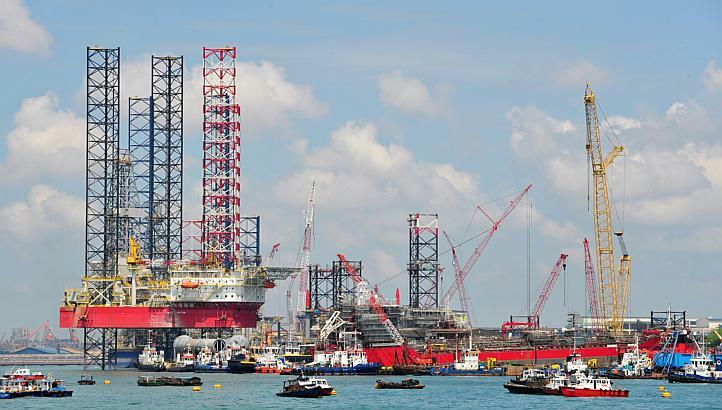 DBS Vickers Securities analyst Pei Hwa Ho wrote in a note to clients that McGregor’s comments might revive talks of a potential “rationalization” via an equity deal between the offshore arms of Sembcorp and Keppel. Both companies have Singapore’s state investment fund Temasek Holdings as a major investor. Moreover, both have been hit hard by the offshore downturn with many order cancellations in recent years sparking thousands of lay-offs.